Delhi might be the political capital of India, but it suffers from several issues. Shortage of drinking water and electricity has been haunting the people of Delhi for a long time. But that is not all. This metro city also lacks adequate basic healthcare facilities. 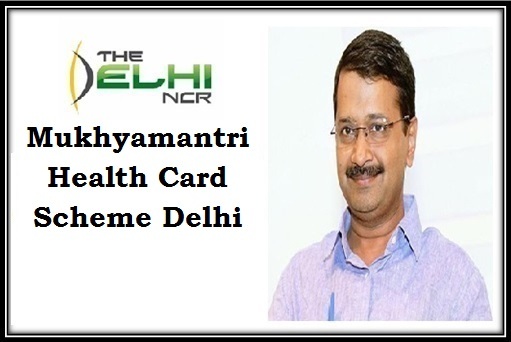 Delhi government had already launched a health card scheme. Recently, the scheme has been revamped and re-launched under the name Mukhyamantri Health Card Scheme. Improving healthcare foundation in Delhi – The main aim of Delhi metropolitan authority is to ensure that people get better medical and health care facilities. If adequate medical help can be assured, only then the overall healthcare status in Delhi and NCR can improve. Free medical treatment – No money will be charged form the commoners for registration under this project or for attaining specified treatments. Government as well as private healthcare centers – It has been stated that common people will be able to take advantage of free treatment not only in government hospitals but also in private medical institutes as well. Apart from this, regular free checkup will be available at local healthcare clinics and poly clinics. Total number of beneficiaries – As per estimates, as many as 1.8 crore applicants will be able to receive the benefits of this scheme during the initial days of its implementation. Online record maintenance – With the help of this e-health card, healthy authority of Delhi will be able to maintain and update medical details of people without much complication. Protecting anonymity – The details about patients and doctors they have consulted will not be available to others. All details will be confidential. No more waiting in long lines – With the implementation of this project, people will not have to waste their time, waiting in long lines to get necessary treatment in healthcare centers. E-Health cards for all – Under this scheme, people living within the borders of Delhi will be given health care cards, which will contain electronic chips. All medical records of the patients will be uploaded on the web-based server for easy access during the time of need. Residents of Delhi – The first eligibility factor states that only those people will be able to enroll under the scheme who live within the boundaries of Delhi and NCR permanently. Age related criterion – It has been mentioned in the draft of this scheme that people from all age groups will be able to get the benefits of this project. No caste bar – Every individual, who has above mentioned qualities will be able to submit the application. No segregations will be made on the basis of caste or religion. No income related barrier – People from all economic backgrounds will be able to get the medical facilities, highlighted under this scheme. Aadhar card – All applicants must possess their Aadhar cards. In case they do not have this identification card, they will be barred from getting the advantages of this scheme. Possessing the Aadhar card is a must. Voter card – The applicants need to submit copy of their voter cards as well. This document will allow authorities to cross-check all details, related to the person. Birth certificate – All applicants need to provide their birth certificates. It will help the authority in keeping proper records of all applicants. Residential proof – This unique program has been designed and developed by the Delhi authority. Thus, all interested applicants will be allowed to attain the benefits of this scheme only if they submit residential documents. These official papers will guarantee that they are residents of this area. Snaps of family members – Last but not the least; all applicants need to submit recent pictures of other family members. The information about these members will be linked with their spans for better record keeping and management. The best part of the scheme is, registered candidates will be able to get selected medical services without having to pay any fee. It is particularly good news for people who fall in financially weaker sections. It has been highlighted that individuals will not have to worry about payment of 52 specified operations. People who require treatment and operation for neurological disorders, cardiovascular diseases, cataract surgeries and 17 separate kidney related treatments will be able to get these from free. They will also be able to get 35 different kinds of pathological tests done for free at state operated hospitals. Apart from this, the scheme also offers regular checkups to maintain high standards of public health. How to apply/register for the scheme online/offline? The scheme has just been re-launched under the new mane. It is clear from the scheme details that applicants will have to log on to the official site of this program and fill in an online registration form to acquire the numerous medical benefits. As of now, no site has been launched by the state government. As soon as any updates happen, commoners will be notified by the respective authorities. The lack of medical development in the city is rather alarming. It is not possible for the government to change the entire situation overnight. Only proper development and implementation of health related schemes like this will ensure that the overall condition chances. The success of these policies will offer common people better healthcare facilities that they desire.